Wacky rich woman subjects her husband, servants and friends to a series of elaborate masquerades, remodeling her house and wardrobe every couple of days to represent different historical eras or cultural milieux. Today she's Marie Antoinette, tomorrow she may be Pancho Villa's common-law wife or a nun. We don't have any reviews for Hay un niño en su futuro. 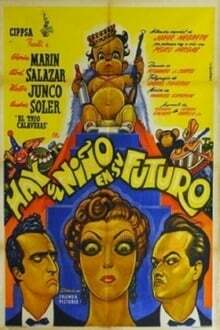 We don't have enough data to suggest any movies based on Hay un niño en su futuro. You can help by rating movies you've seen.